FBI sketch of D.B. 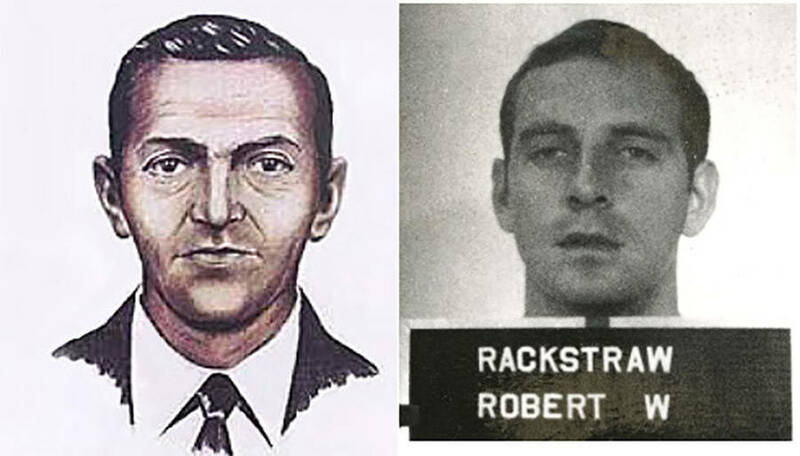 Cooper compared to 1970 Army ID picture of Robert Rackstraw. D.B. Cooper's identity possibly revealed, rituals behind Aztec skull tower uncovered, Roanoke mystery possibly solved. Tom Colbert, a film producer and longtime expert sleuth into the case of D.B Cooper’s disappearance claims that he has once and for all confirmed Cooper’s mysterious identity. Cooper, a pseudonym, skyjacked a commercial flight from Portland to Seattle on Nov. 24, 1971 and scored a $200,000 ransom before parachuting from the plane, never to be seen again. Colbert, along with a team of cold-case private investigators, said that a newly decoded message contained a confession by Colbert’s number one suspect. 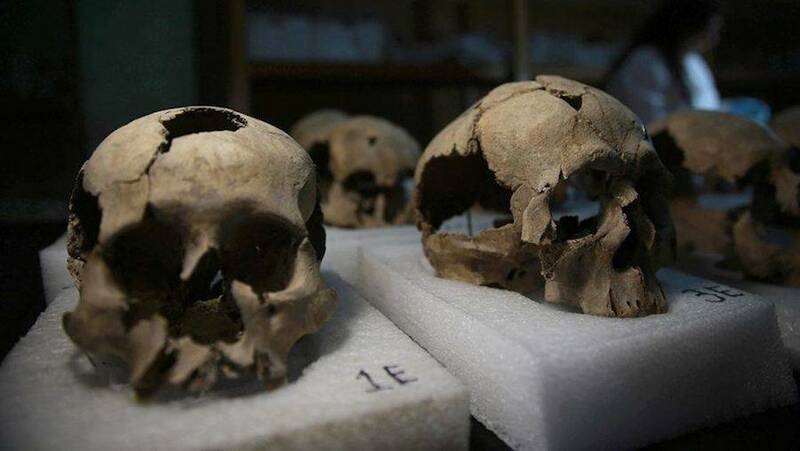 Uncovered skulls from the Aztec site. In 2015, archeologists from Mexico’s National Institute of Anthropology and History uncovered a tower of human skulls under an excavated Aztec temple in Mexico City. The skull tower – described circular tower built out of rings of human heads held together by lime, was made up of more than 650 skulls and thousands of fragments. Well, experts have since been analyzing the details of the incredible discovery and the new revelations show just how horrific the nature of these sacrifices truly was. The site was used for religious rituals where human sacrifices to honor the gods took place. Read more in this report. 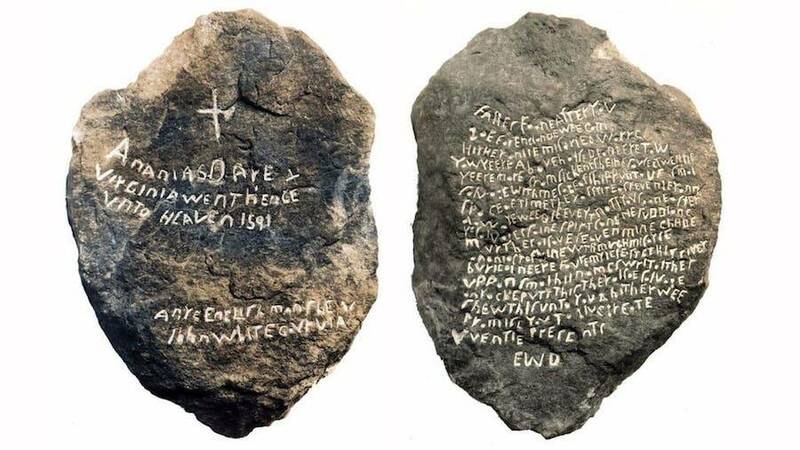 This stone’s inscription may hold a message from the Lost Colony of Roanoke. The stone that Schrader is referring to is a 21-pound engraved rock that, based on the results of upcoming testing, could perhaps solve the mystery behind the “Lost Colony” of Roanoke that has puzzled historians for centuries. This mystery involves the creepy disappearance of more than 100 English settlers from the colony sometime between 1587 and 1590 — and the stone may finally help explain what happened.